Scale or almost-scale replicas of space launchers, sounding rockets or any other rocket for civil purposes. Space rockets There is 1 product. 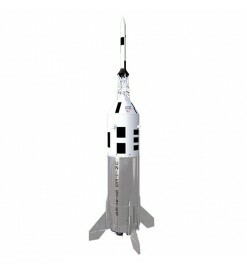 Scale replica of the test rocket for Apollo Launch Escape System. An accurate kit for E and F motors, full of details for the skilled modeller.